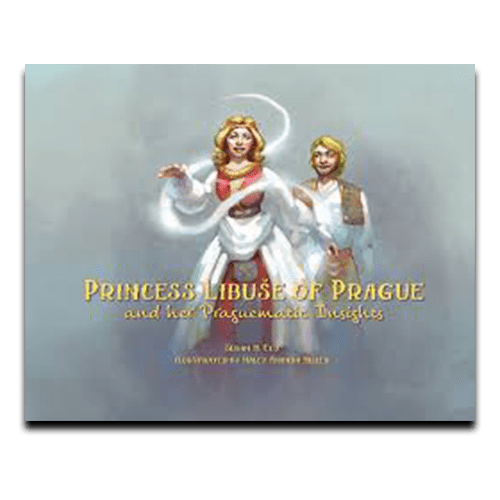 Princess Libuše of Prague and her Praguematic Insights by Susan M. Cox and illustrated by Haley Amanda Miller is the whimsical telling of the legendary princess who is said to have founded Prague, the capital city of the Czech Republic. Princess Libuše governed her kingdom in a time when women were not generally permitted to rule, but legend says that the clever princess had magical powers that allowed her to see into the future. Princess Libuše was a natural born leader and she used her gifts, talents, and intellect to inspire the Czech people to build the majestic city and the royal Prague Castle. This old folktale celebrates Czech culture and embodies the timeless lesson that girls rule!